This April marks our 11th Anniversary and we are super excited to celebrate with you!!! We have an extra special milonga planned thanks to you -)! Please join us in celebrating Community Milonga - Milonga Del Aniversario with the extra special music of internationally renowned - Avik Basu =-)! Also, please feel free to bring snacks and Non-alcoholic beverages to share. Please spread the word and stay posted for the next Community Milonga. P.S. 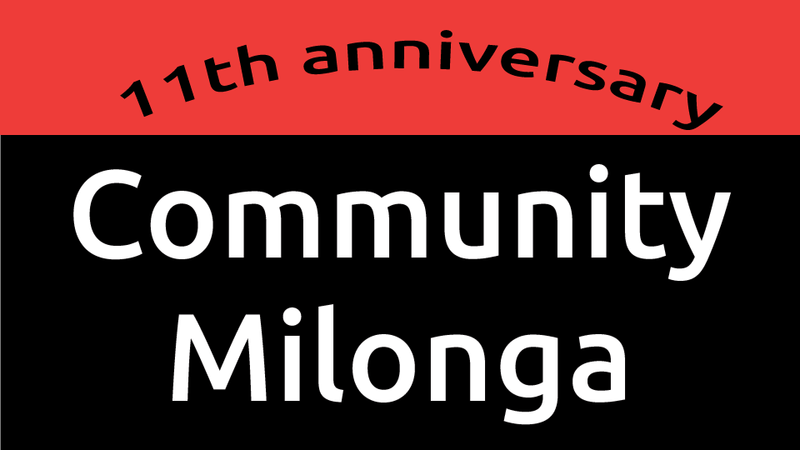 If you enjoy Community Milonga sponsored events, please check back for ways to help or you can join the Community Milonga group. Thanks for your support!